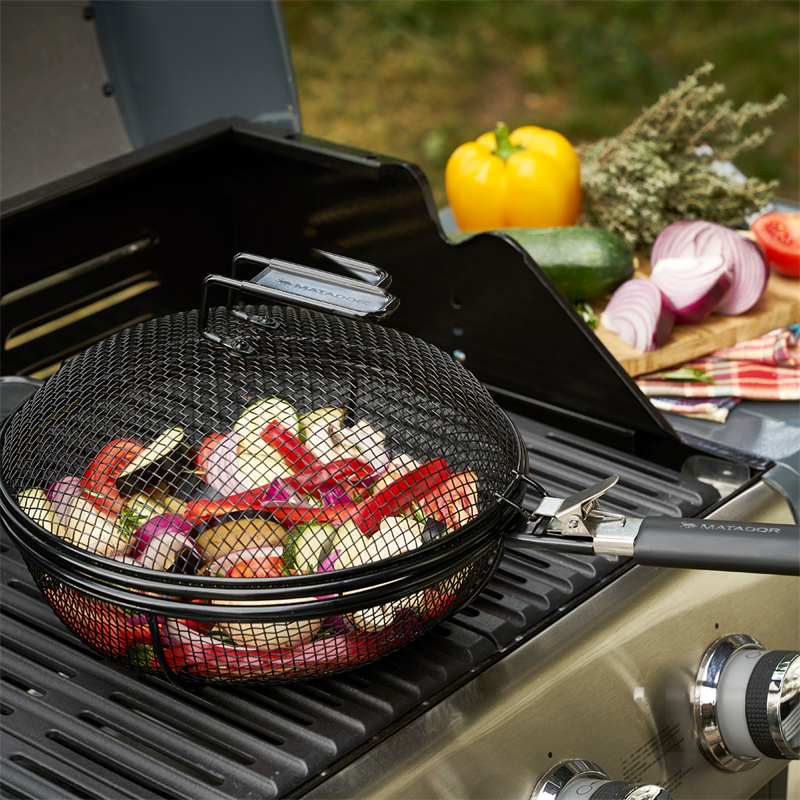 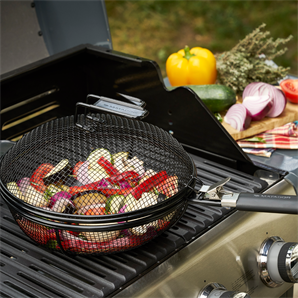 The Matador Non-Stick Mesh Fry Pan lets you sauté vegetables, shellfish or even make popcorn directly on your BBQ grill. 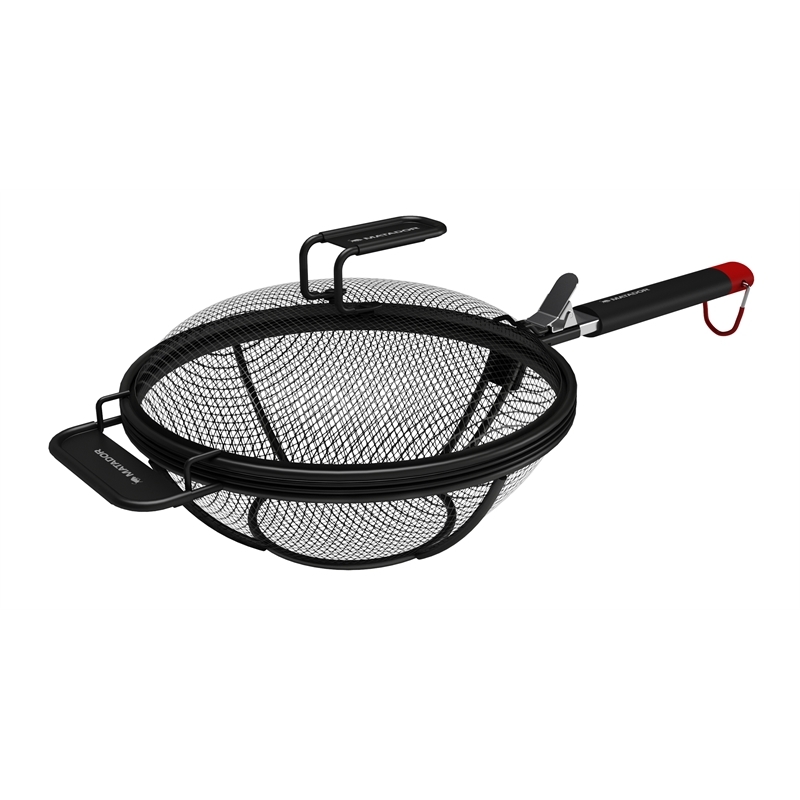 It features an open non-stick mesh wire design that lets heat and flames cook away, while smokey flavours infuse dishes. Designed for use with the Matador Enamelled Cast Iron Wok as a steamer or fry basket, it ensures that your foods are contained and cooked to perfection.